Aside from the reason that Catamaran Kucinta is on 10% off plus additional 1 hour of ride (worth up to S$450, on a weekend), there are more exciting ones why you should explore Johor Straits with your family, friends or book your corporate events. Probably you are already aware of these reasons but I am sharing it with you based on my experience with Kucinta Yacht over a weekend cruising within Singapore Northwestern Coast towards Johor Bahru Coast. Aboard on Kucinta Yacht, cruisin along the water of Singapore to Johor Bahru Malaysia. Perfect for private and corporate events. Check on my story highlights for videos. . . For chartering inquiry contact @bbboats and quote "farrah" to enjoy 10% off plus additional 1 hr ride (worth up to $450) valid on January – March 2019. It was a lovely Saturday afternoon when I boarded with my good friend Honey and her cutie pie son Naj. The boarding was smooth, seems like we are the only passengers they have waited. Kucinta started sailing the moment we were all seated and simultaneously followed by the safety briefing. A gathering is different from the usual. Once in a while, it’s good to gather with your family, friends, or colleague away from the usual scenes but not far from Singapore. Let’s admit it, in Singapore, we have limited choices that’s why some chose to go abroad. But then if you want to be around in Singapore and not costly, renting a charter yacht is always a good idea. It’s equipped with 40″ LED television, Bluetooth-enabled entertainment system and Touchscreen karaoke system. Who doesn’t want to sing your heart out in the middle of the straits (no one will complain! hehehe!). 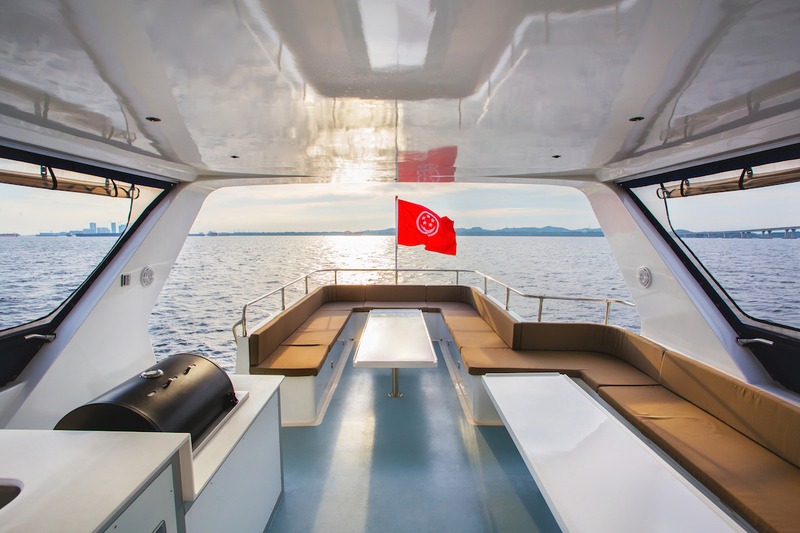 The 45-feet Catamaran Kucinta can accommodate up to 27 guests while only 8 guests for overnight stay. It has a perfect backdrop for an fun-filled family getaway with an informative slant, right here in Singapore. The adults will value the time-out from busy schedules with a mini-expedition along the peaceful straits , while the young ones will relish exploring the cabins and decks. The galley is equipped with microwave oven, full-sized fridge, induction hobs, and electric kettle. It’s part of the air-conditioned entertainment area. Alfresco BBQ Grill with a view and sea breeze. You can enjoy the sunset or maybe the ocean breeze while sipping your favorite drink and doing some BBQ grilling at the upper deck. Beautiful isn’t it? And we all know that sea breezes never fail to relax us. NEVER. Plus, the good benefits we get from it. The iodine, salt, and magnesium present in sea air can reduce the symptoms of asthma, promote respiratory health, improve allergies and skin problems, and stimulate the immune system. Take a good nap while cruising. We know how our life in Singapore can be very stressful at times and there were gatherings that we can’t help but decided not to stay too long and go home early because we were too tired. In cruise, you can’t be that KJ, as in KILL JOY. BOOooo! While others are busy grilling and you are tired, you can have your quick nap at one of the bedrooms. What’s a 15 minutes power nap right. But, go can freely go home if you can — hehehe! Kucinta has fully air-conditioned 4 queen cabins and 2 common toilets with showers. It can accommodate up to 8 guests for overnight stay. Learn about the historical and geographical connections between Singapore & Malaysia. What do kelongs, coastal heritage landmarks and historical WWII sites have in common? These are but a few of the sites featured on this 4-hour cruise, where guests can experience the sights and the fabled history of the Johor Straits. Experience an immersive seafaring experience along the Johor Straits. A less visited destination for the general yachting public from the unique vantage point of a catamaran. Featuring an audio tour that was researched in-house and created especially for Kucinta, guests will enjoy GPS-triggered commentary as they pass sights of interest on both the Singapore and Johor coasts. Areas that are historically significant, and not easily accessed via land, such as the mangrove-fringed area where Japanese troops first landed on assault boats during World War II, will be featured. Other sites include Cashin House, a genteel heritage building that had once been the home of the prominent Cashin family, and Istana Besar, the regal seafront Johor royal palace. Sunbathing is also better on the yacht. This is my favorite spot of Kucinta, this area allows you to chill while getting your tan. Because you’re at the bow, you can see where the cruise is heading. Water toys (assorted floats) are available on request. This will make your sunbathing fun and exciting. Sunset in the sea is always beautiful than any part in the city. I think we can agree to it. Now, I’m imagining myself with my favorite cocktail drink on the left and BBQ stick on the right. #daydreaming — hehehe! While to give you a little background about “Catamaran Kucinta”, it was launched in 2018, Kucinta marks the third vessel constructed in Singapore by local boat builder Megaway, the team behind the 128-feet superyacht Megaway128. This 45-footer takes its name from the iconic Singapore cat Kucinta. Twin hulls create a much more spacious spaces for lounging onboard for guests and minimises rocking motion and greater stability. Perfect for guests who are prone to seasickness and young guests. She is currently based at Raffles Marina on the Western tip of Singapore and under the roof of BBBoats (Boats, Boats & Boats Services). It is available for private and corporate bookings. Depart between 10am and 4pm. * Charter rates include services of 1 skipper and crew, fuel and drinking water. Optional food packages are available upon request, and at additional cost. * Departures from Raffles Marina in Tuas. Isn’t it affordable for 27 guests, it’s like S$68.50/head during weekends. For more details pls. visit their website and contact below. 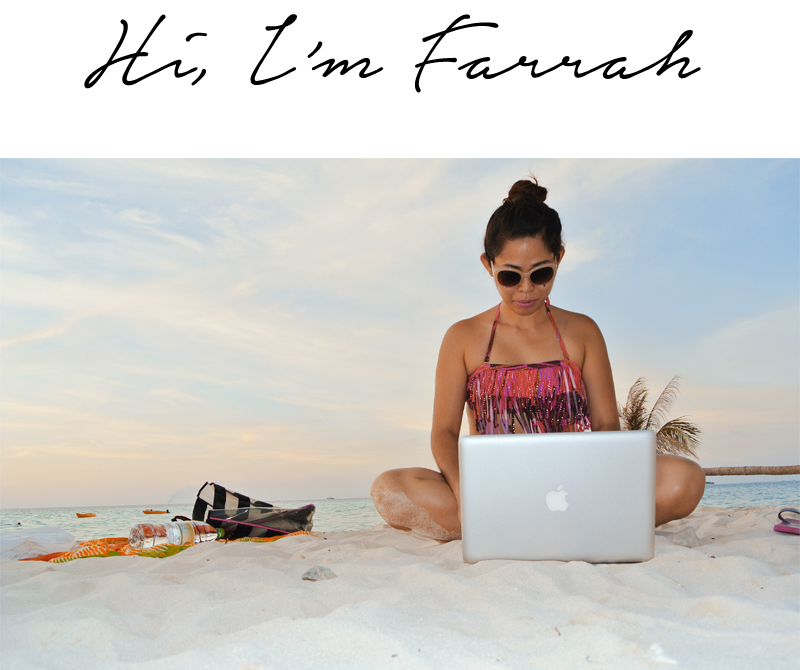 Don’t forget to use promo code “farrah” upon inquiry. Have you experience cruising around Singapore before?